I would like to thank Dutch Wonderland for inviting our family to their kid-friendly amusement and water park in Lancaster, PA this summer. We had an amazing time! 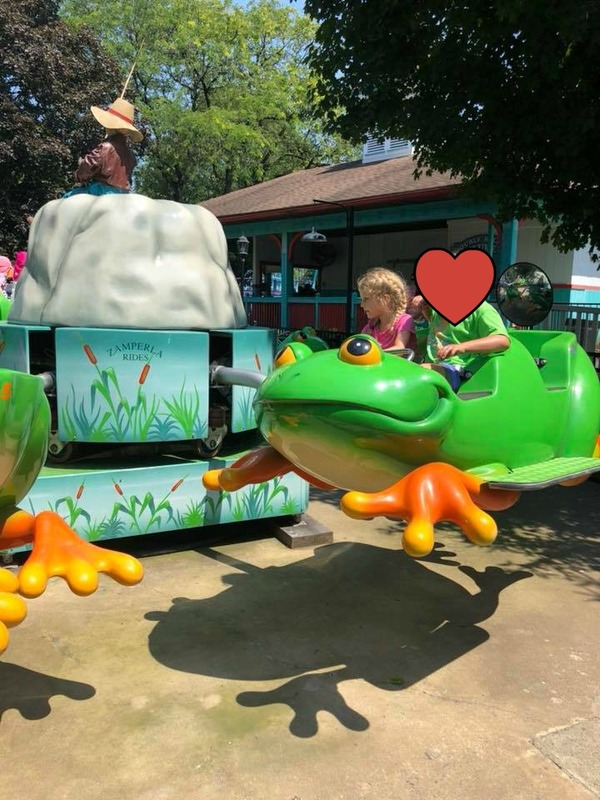 I love Dutch Wonderland because of its manageable size, family-friendly environment, and because they really do have something there that EVERY member of the family can enjoy. (My personal favorite is the diving shows.) Plus, can we talk about all the shade trees all around the property? That alone makes such a difference when you are outside in 90+ degree weather in July. And I love that the water park area, Duke’s Lagoon, is included in the cost of your ticket. I think Penny might have been a little excited about the merry-go-round. But there was plenty to do for everyone else as well. Obviously, I highly recommend Dutch Wonderland. But getting ready to go on a family vacation, whether it is for a whole week or even for just one day, as a foster family does present some unique challenges. Today I want to share a few tips that worked for us on our visit to Dutch Wonderland and some things I wish we would have thought to do in advance. Some of these tips are specific to foster families, but many of them apply to biological families as well. Reach out. If you are spending the night anywhere but your own home or leaving the state, make sure you let your caseworker know in advance. Our trip to Dutch Wonderland was a day trip and we stayed in our own state. This day trip was close to home and good practice for future longer vacations. Prepare the kids in advance. We wrote our trip on the kitchen calendar a few weeks in advance and looked up pictures of the amusement park online so the kids would have an idea of what to expect. If a child has never been to an amusement park before, the new sights and sounds can be overwhelming. The morning of our trip we sat down and had a family meeting to establish our expectations. We talked about the park rules and ran through our schedule for the day. Having clear guidelines for what to expect can help kids feel safe and prepared in new situations. Acknowledge their fears. Crowded places like amusement parks and water parks can be a little bit nerve-wracking for kids who have experienced involuntary separations from caregivers in the past. They might be worried about losing you. Dutch Wonderland was fabulous because it was not so crowded as to be overwhelming. We were there on a Saturday in peak season, but never waited in lines that were longer than ten minutes, and the staff is very friendly and approachable. It might also help to wear matching shirts so you are easy to see and find if a child loses sight of you for a minute. And I highly recommend establishing a family meeting place for the day. Check out the resources available. If your child has special needs, then many places like amusement parks now offer accommodations. Dutch Wonderland has a wonderful program that we used for Nicholas while we were there. My friend Meredith over at Mom of the Year has a great post on her blog explaining the program and its benefits! I feel very grateful that we got to share the magic of Dutch Wonderland with all of the kiddos in our care this summer. I have such special memories of going to this amusement park every year when I was a little girl, and my dad talks about his own visits there as well. It’s a third generation tradition for us! It was such a special gift to have a day there this summer with the new kids living in our home. Dutch Wonderland is a great vacation spot for families with kids of all ages. We have been taking our children here since they were toddlers, and each year they find that the park grows with them. They love the older vintage rides and they love being able to experience new things like the roller coasters as they get older. Guess what? Dutch Wonderland also generously has a special gift for all of you this summer. If you purchase your Dutch Wonderland tickets online, just enter the code summerblog18 and you will receive a discount on your order! Let me know if you have any other tips to keep kids safe and feeling comfortable when you travel as a new family. Thank you again to Dutch Wonderland for sponsoring this post. All opinions are my own. As always, I so appreciate your pins and shares.